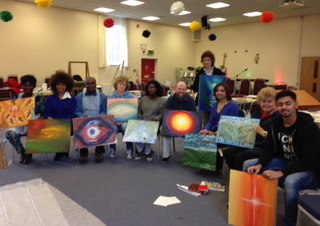 The group has a workshop day about once a month on a Saturday. We worship, paint, prophesy and interpret. We come to learn and share. To have fun and eat together! to connect people to God’s heart in a new and different way.